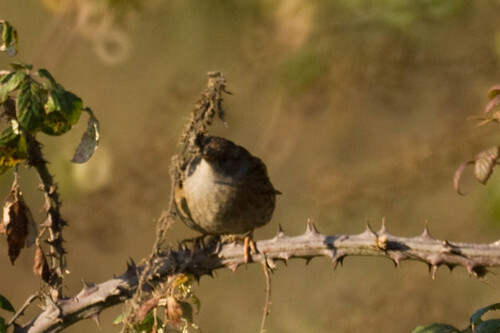 I slipped out in between work on a freezing morning yesterday for a bit of Bird snapping to Star Hill and was rewarded with some good photos. The sun was out and the light was ideal inspite of the near zero temperature. 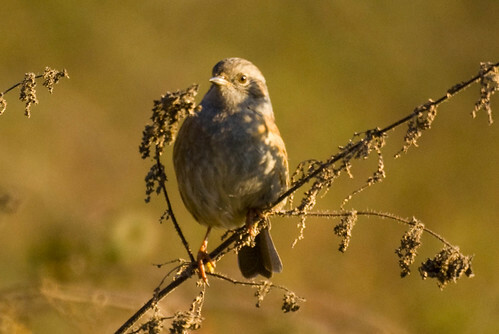 If you thought the nettle plant was only an incredibly “irritating” weed out to sting you and forbid your access to birding haven then think again! 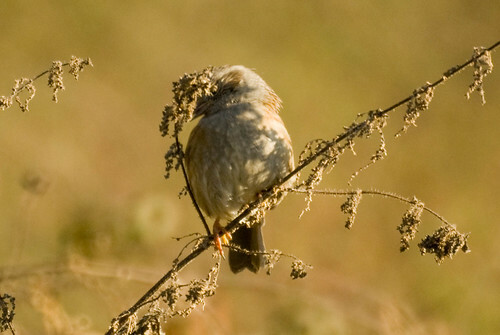 Nettle patches are thought to attract a wide variety of birds. The stinging nettle provides habitat for more than 40 species of insects and are an important breeding ground for butterflies. 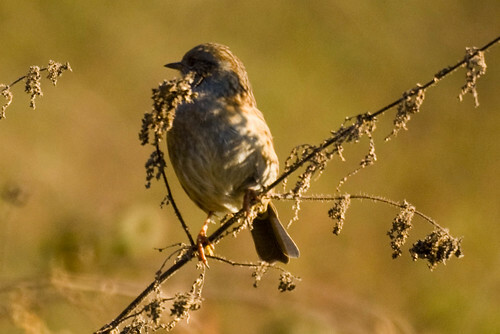 In late summer, the plant produces huge quantities of seeds which serve as food for many seed eating birds. 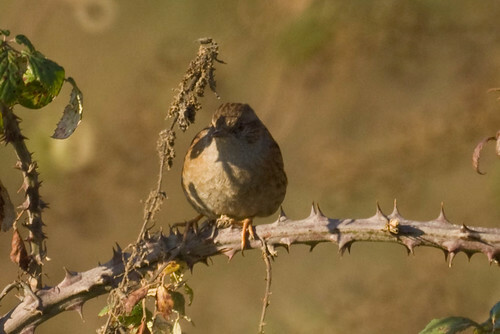 ..but why is a dunnock feeding on nettle seeds? 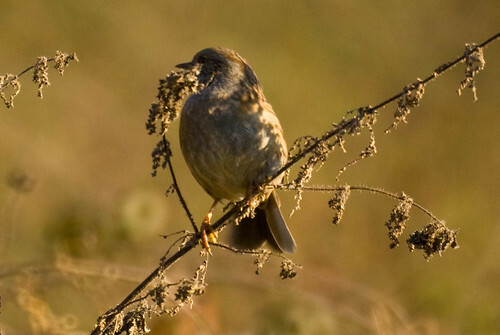 Aren’t dunnocks supposed to be insectivores? Yes they usually are, but when it is winter and the ground freezes over as was the case yesterday, digging the already scarce insects out of the ground becomes quite a task. 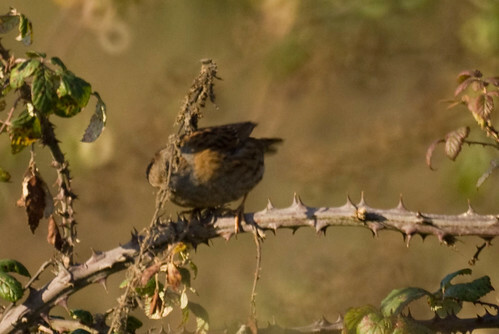 ..and when hunger strikes the dunnock will look out for other sources of food, like the seeds on this dried up nettle. 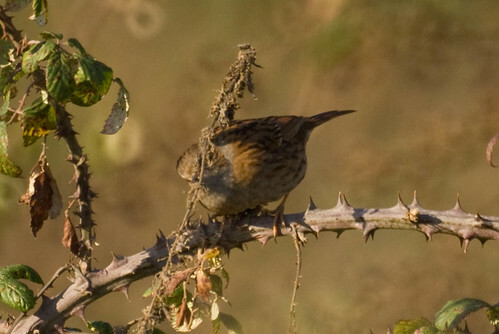 …and thus I get my share of dunnock eating nettle seeds pictures! Read more about the usefulness of nettles here.